Things got out of hand at the New York Fashion Week Party when Cardi B attacked Nicki Minaj. The two rappers have been feuding since last year. Cardi B was seen lunging toward someone and being held back at Harper’s Bazaar Icons party Friday night in a video that is circulated online. In another video, she was seen escorted out of the party by security guards and with a bump on her head. 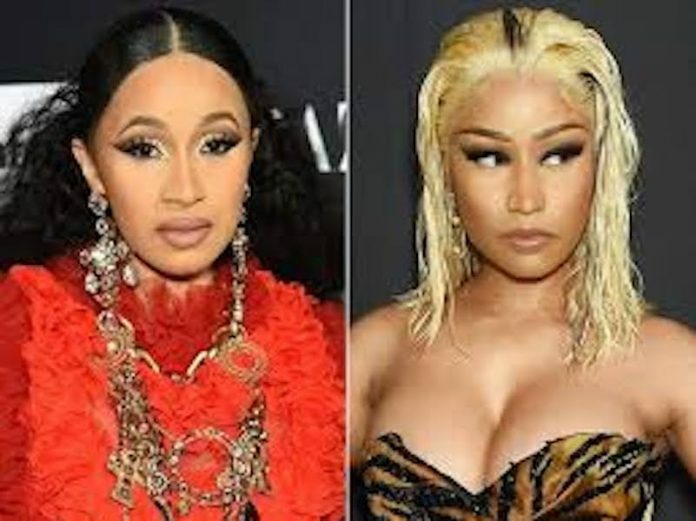 An eyewitness account revealed that Cardi B tried to attack Minaj who was just rounding up a conversation with someone but her bodyguards intervened. Minaj was finishing up a conversation with someone when Cardi B tried to attack her, but Minaj’s security guards intervened. The rapper in an Instagram post confirmed the fight though she did not mention Minaj. The rapper who just had her first child with fellow rapper Offset claimed she was incensed by the way her mothering skills were mocked.